Every homeowner has its own different choice and taste when it comes into home interior design. Nowadays, most of the popular choice in home interior is modern look; modern theme looks neater and simpler. Most of the modern interior designing used a neutral color as the major motif for their home. But others prefer a classic design for their home. Classic design uses more traditional decorations, patterns and elements. The colors that often used for a classic design are deep blues, yellow, green, brown and other earth tone colors. Having a classic look for your home brought serene and creating timeless elegance with architectural elements and good decoration arrangements. 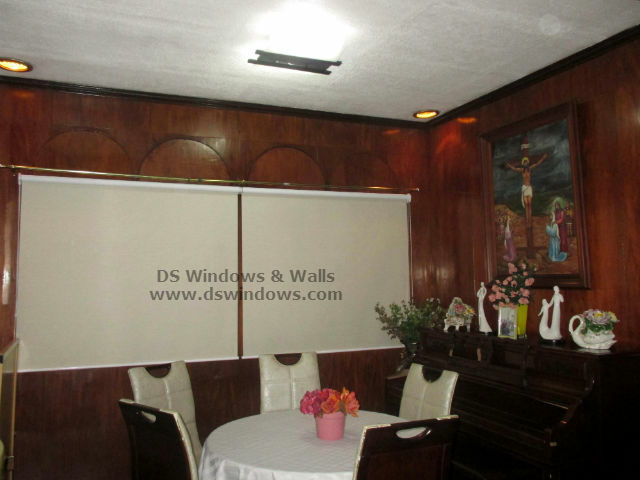 Our client from Merville, Paranaque City, has a classic theme in their home, the pictures shown is their dining room with roller blinds. A classic design for their dining room brought uniqueness and sophisticated that creates the formal classic style and luxurious theme. Their dining area was designed with a wall that has a dark brown color i.e. same color as their piano, dining table and chairs; it also creates a cohesive look for their classic dining room. They also add white accent in their dining table and chairs to add openness and wideness. 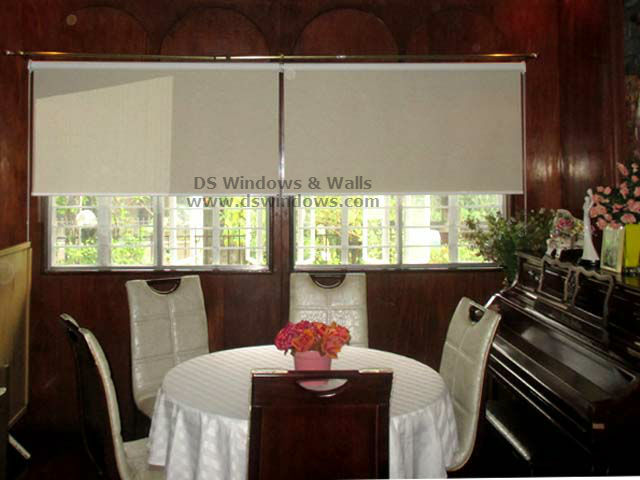 Although roller blinds are one of the modern window treatment, it doesn’t affect the classic look of their dining room because roller blinds looks simple that emphasizes functionality over form. They also chosen a lighter color to match with their table and chairs and it also contribute a soothing effect for their place. Another good benefit of roller blinds specially the blackout type is it can block totally the unwanted light from outside that penetrates into their place. 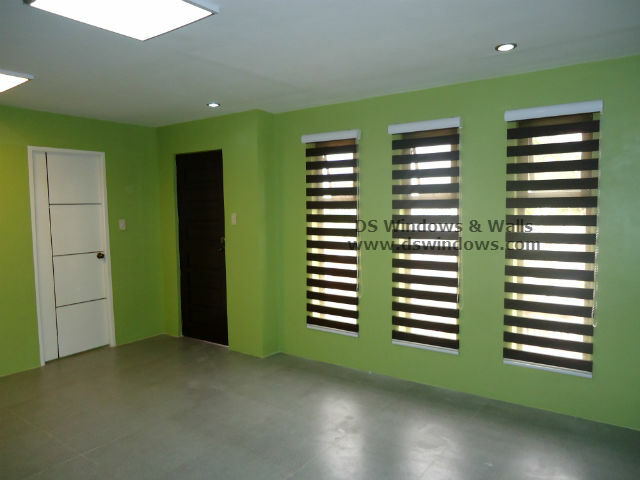 It maintains the rich color of their furniture and other dark colors including their wall from fading. 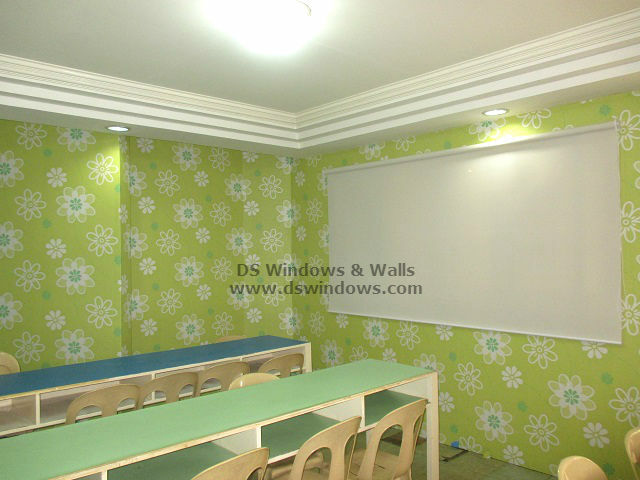 Sun ray is one of the main reasons why the color of the furniture fades easily. Roller Blinds offers different varieties of fabric, color and texture. For more information about our products you can visit our shop located at 4th level Waltermart, Makati City, 3rd level Robinson Metro East, Pasig City and 2nd level Pacific Mall, Lucena City or call us at (02) 403-3262 / (02) 668-9668 / (02) 893-1373 and 0916-311-3909. 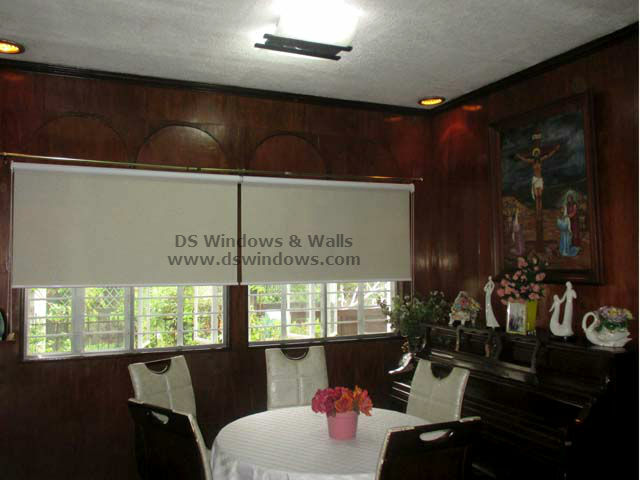 You can also visit our webstore at www.angryblinds.com.ph for online ordering.